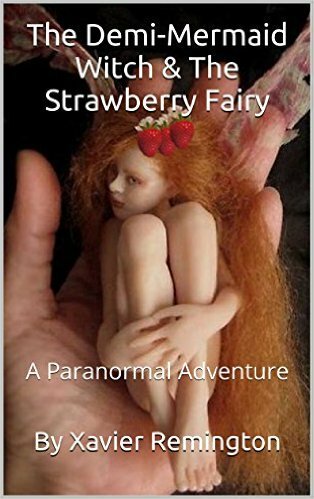 As the full June Strawberry Moon of 2015 approaches a fiendish Faeriemancer is after the Human-Mermaid Hybrid Witch Rebecca Abernathy, and her little friend, a Strawberry Fairy named Red. Together they fight, and evade the dark magician as they make their way to Red’s nature Nymph ascension ceremony. It is the Faeriemancer’s hope to crash this paranormal party, and siphon all the nature deities powers including the Roman Fruit Goddess Pomona. His twisted plan even involves the ArchDemon The Devil himself along with his newly born Anti-Christ child! Read Our First Book For Only 99 cents on Amazon Kindle. This entry was posted in Fairies, Goddesses, Witches and tagged Amazon Kindle Books, Faeriemancer by Xavier Remington. Bookmark the permalink.